DIME$ are the dynamic virtual currency of Daily Dimes™ and are issued based on Membership level. DIME$ are redeemable for Clip & Ship Handling Fees and are just one of the many ways to save on our Clip & Ship Coupon Clipping Services. They are also redeemable for entry into one of our many exciting DIME$ Sweeps! WIN valuable prizes like eGift Cards! Free Members receive DIME$ promotionally and on occasion, but Premium & Ultra Members receive DIME$ every week. When you upgrade to Premium or Ultra (Paid) Membership and take full advantage of your DIME$, you have the opportunity to receive Clip & Ship Coupons Fee Free! Depending on your Paid Membership Level, you can place up to two FREE Clip & Ship orders each Redemption Week. The Admin Fees are waived on the first (Premium) or first 2 (Ultra) orders involving one or more DIME$. Therefore, when you complete your order using DIME$ as your payment method and select First Class Mail, your order can be absolutely FREE! Low to NO MONTHLY FEE! Enter NOW to WIN BIG! 3 Steps to an Endless Cycle of Savings! Learn How You Can Save 50, 60, 70% or More! Join Us and Others in Pursuit of Savings! Help Us Support Our Troops! Select Program Best for You! Answers to Commonly Asked Questions! One Stop Resource for Weekly Sales & Promotions! If you are a resident of the State of California and would like to know how your "personal information" (as defined in the Shine the Light Law, Cal. Civ. Code § 1798.83) is shared with third parties, what categories of personal information that we have shared with third parties in the preceding year, as well as the names and addresses of those third parties, please contact us at: [email protected] or 888-835-6788. If you are a resident of the State of California and would like to opt-out from the disclosure of your Personal Information (as defined below) to any third-party for marketing purposes, please contact us at [email protected] or 888-835-6788. Please be advised that where California residents opt-out from permitting their Personal Information to be shared, such individuals may still receive selected offers directly from us, in accordance with applicable law. We use the Personal Information that you supply to personalize your experience with the Site, facilitate the delivery of Daily Dimes™ Offerings, including, but not limited to the e-Book and Coupons, and for verification purposes. The Personal Information that you submit to Daily Dimes™ remains your property, but by submitting that Personal Information to Daily Dimes™ you grant Daily Dimes™ the right, subject to applicable state and federal law, to use that Personal Information (other than Sensitive Information), for marketing purposes. Daily Dimes™ is able to offer its Daily Dimes™ Offerings to you, in part, based on your willingness to be reached by our third-party advertisers. Your Personal Information (other than Sensitive Information) will be shared with advertisers on an aggregate and non-aggregate basis. We also use contact information from your Personal Information to send you information about us, the Daily Dimes™ Offerings and to keep you informed of our other products and services that may be of interest to you. Please keep in mind, though, that Daily Dimes™ does not control, and is not responsible for, the practices of our Third Party Providers. Your contact information is also used to reach you, when necessary, regarding issues concerning your use of the Daily Dimes™ Offerings. If you wish to stop receiving future communications from us and/or third-party advertisers, or if you wish to prevent the transfer and/or sale of your Personal Information to third-parties (subject to restrictions contained in applicable state and federal law), please see the Opt-Out/Unsubscribe section below. By registering on the Site, you agree that such act constitutes an inquiry and/or application for purposes of the Amended Telemarketing Sales Rule (16 CFR §310 et seq. ), as amended from time to time (the "Rule") and applicable state do-not-call regulations. As such, notwithstanding that your telephone number may be listed on the Federal Trade Commission's Do-Not-Call List, and/or on applicable state do-not-call lists, we retain the right to contact you via telemarketing (where you supply your telephone number to us) in accordance with the Rule and applicable state do-not-call regulations. Daily Dimes™ reserves the right to release current or past Personal Information: (i) in the event that we believe that the Daily Dimes™ Offerings are being or have been used in violation of the Daily Dimes™ Website Terms and Conditions, any applicable Promotion's Contest Rules or to commit unlawful acts; (ii) if the information is subpoenaed; provided, however, that, where permitted by applicable law, we shall provide you with e-mail notice, and opportunity to challenge the subpoena, prior to disclosure of any Personal Information pursuant to a subpoena; or (iii) if we are sold, merge with a third party or are acquired; provided, however, that if Daily Dimes™ is involved in a merger, acquisition or sale of all or a portion of its assets, you will be notified via email and/or a prominent notice on the Site of any change in ownership or uses of your Personal Information, as well as any choices that you may have regarding your Personal Information. Moreover, you hereby consent to disclosure of any record or communication to any third-party when Daily Dimes™, in its sole discretion, determines the disclosure to be appropriate including, without limitation, sharing your e-mail address with other third-parties for suppression purposes in compliance with the CAN-SPAM Act of 2003, as amended from time to time. We may collect certain non-personally identifiable information about you when you visit many of the pages of the Site. This non-personally identifiable information includes, without limitation, the type of browser that you use (e.g., Safari, Chrome, Internet Explorer), your IP address, the type of operating system that you use (e.g., Windows or iOS) and the domain name of your Internet service provider (e.g., Verizon, AT&T). We use the non-personally identifiable information that we collect to improve the design and content of the Daily Dimes™ Offerings and to enable us to personalize your Internet experience. We also may use this information in the aggregate to analyze usage of the Daily Dimes™ Offerings, as well as to offer you products and services. 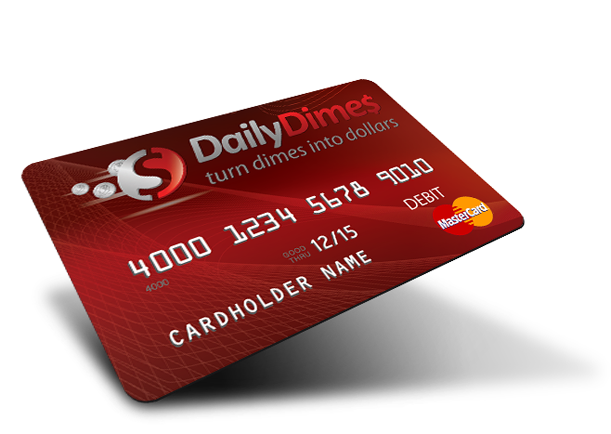 Daily Dimes™ reserves the right to transfer and/or sell aggregate or group data about Daily Dimes™ users for lawful purposes. Aggregate or group data is data that describes the demographics, usage or other characteristics of Daily Dimes™ users as a group, without disclosing personally identifiable information. The Site may contain links to third-party owned and/or operated websites including, without limitation, websites owned and/or operated by our Third Party Providers. Daily Dimes™ is not responsible for the privacy practices or the content of such websites. In some cases, you may be able to make a purchase through one of their third-party websites. In these instances, you may be required to provide certain information, such as a credit card number, to register or complete a transaction at such website. These third-party websites have separate privacy and data collection practices and Daily Dimes™ has no responsibility or liability relating to them. All collected information is stored in a technically and physically secure environment. When our registration/application process asks users to enter Sensitive Information, and when we store and transmit such Sensitive Information, that Sensitive Information is encrypted and is protected with SSL encryption software. While we use SSL encryption to protect Sensitive Information online, we also do everything in our power to protect all Personal Information both online and off-line. Unfortunately, no data transmission over the Internet can be guaranteed to be 100% secure. As a result, while we strive to protect your Personal Information, we cannot ensure or warrant the security of any Personal Information that you transmit to us, and you do so at your own risk. Once we receive your transmission, we make reasonable efforts to ensure its security on our systems. Access to your Personal Information is strictly limited, and not accessible to the public. All of our users' Personal Information, not just Sensitive Information, is restricted in our offices. Only employees who need the information to perform a specific job (for example a customer service representative) are granted access to Personal Information. Employees not adhering to our firm policies are subject to disciplinary action. In compliance with applicable federal and state law, we shall notify you and any applicable regulatory agencies in the event that we learn of an information security breach with respect to your Personal Information. You will be notified via e-mail in the event of such a breach. Please be advised that notice may be delayed in order to address the needs of law enforcement, determine the scope of network damage and to engage in remedial measures. Visitors under eighteen (18) years of age are not permitted to use and/or submit their Personal Information at the Site. Daily Dimes™ does not knowingly solicit or collect information from visitors under eighteen (18) years of age. Daily Dimes™ encourages parents and guardians to spend time online with their children and to participate and monitor the interactive activities of their children. To opt-out of having your information shared with third parties, please Click Here. To opt-out of receiving e-mail advertising, SMS text-based marketing (where and to the extent permitted by applicable law), telemarketing and direct mail marketing from us, you can follow the instructions at the end of the applicable marketing message or Click Here. Notwithstanding the foregoing, we may continue to contact you for the purpose of communicating information relating to your request for Daily Dimes™ Offerings, as well as to respond to any inquiry or request made by you. To opt-out of receiving Daily Dimes™ Offerings-related and inquiry response-related messages from Daily Dimes™, you must cease requesting and/or utilizing the Daily Dimes™ Offerings, and cease submitting inquiries to Daily Dimes™, as applicable. At your request, we will inform you of what Personal Information we have on file for you. In addition, at your request, we will remove Personal Information that you have provided to us, or that we have collected. You may do so by contacting us via e-mail at [email protected]; provided, however, that we ask individuals to identify themselves and the information requested to be accessed, corrected or removed before processing such requests, and we may decline to process requests that are unreasonably repetitive or systematic, require disproportionate technical effort, jeopardize the privacy of others or would be extremely impractical (for instance, requests concerning information residing on backup tapes). Please be advised that deleting your Personal Information will terminate your access to some or all of the Daily Dimes™ Offerings. If you wish to continue using the Daily Dimes™ Offerings, you may not delete the Personal Information that we have on file for you. To file a complaint regarding our privacy practices, please go to: https://www.ftccomplaintassistant.gov/FTC_Wizard.aspx?Lang=en. Trademarks associated with any brand names, products and/or services featured in or associated with the Coupons are the intellectual property of their respective owners and display of such brand names, products and/or services on the Site or in any Daily Dimes™ marketing material does not indicate endorsement, sponsorship or affiliation by the trademark owners of/with Daily Dimes™ or any of the Daily Dimes™ Offerings. † Daily Dimes'™ Prepaid MasterCard® is issued by Metropolitan Commercial Bank (Member FDIC) pursuant to a license from MasterCard International, Inc. "Metropolitan Commercial Bank" and "Metropolitan" are registered trademarks of Metropolitan Commercial Bank. © 2014. Copyright © 2014-2015 Daily Dimes, Inc. All Right Reserved.